The shadow epiphany of the Feathered Serpent on the side of the Pyramid of Kukulkan at Chichen Itza. 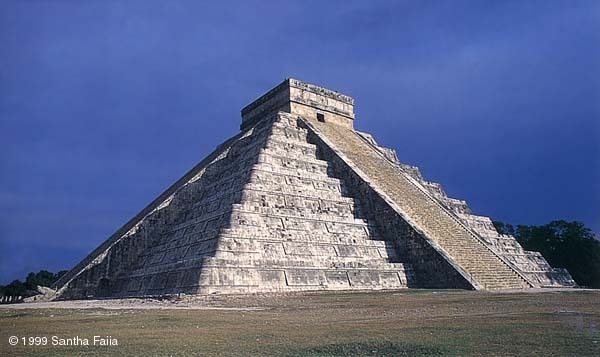 This 'trick of light and shadow' occurs only on the equinoxes, 21 March and 21 September, at around 5.30 p.m. 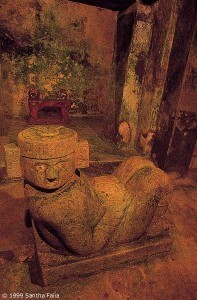 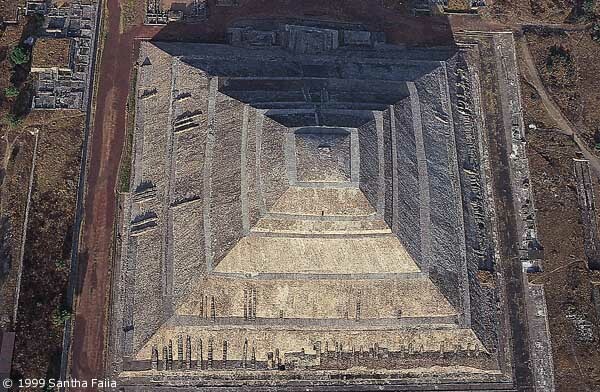 Inner chamber of the Pyramid of Kukulkan, Chichen Itza, built on an earlier structure of unknown date. 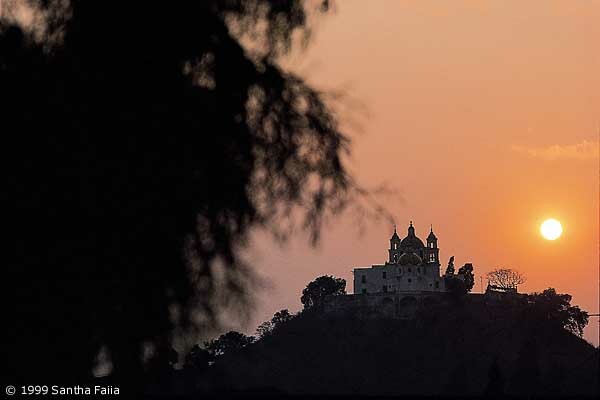 The Great Pyramid of Cholula at sunset - a gigantic structure built over thousands of years in honour of the cult of Quetzalcoatl - later 'surmounted' by a Catholic chapel. 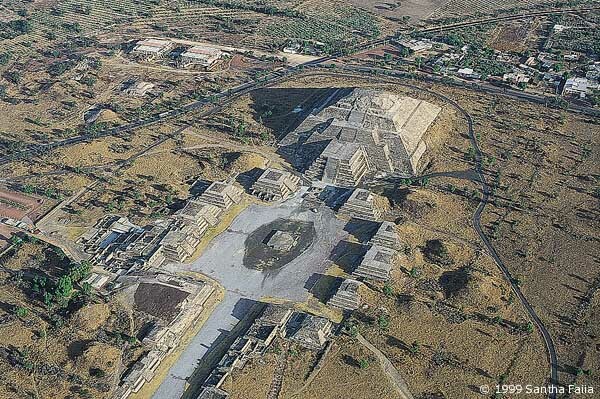 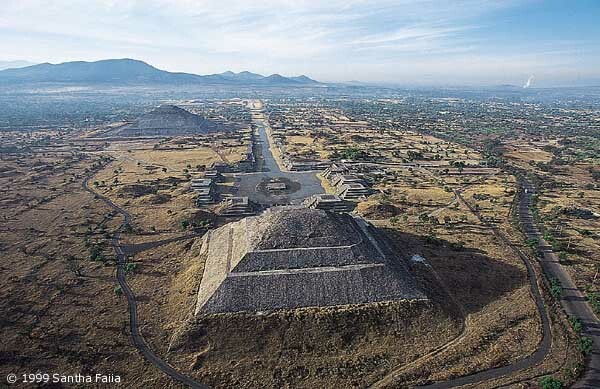 View down on the apex of the Pyramid of the Sun, believed by the Aztecs to be the place of creation. The axis of the Way of the Dead. 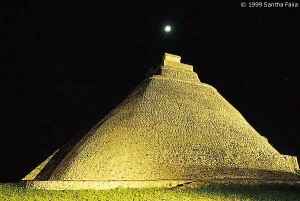 Pyramid of the Magician at Uxmal, part of a great cosmic scheme to mirror heaven on earth.